Based in the USA. Built on Partnerships. We have been based in the USA and committed to providing industry leading partnership, service, and expertise since 1802. With the gap rapidly closing between US and foreign production costs, interest in US-based manufacturing and supply chain support is on rise. 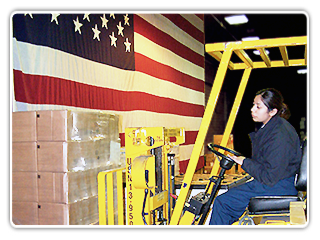 While some are just beginning to explore reshoring or nearshoring strategies, Scovill has continuously supported our partners’ supply chains from our global headquarters in Clarkesville, Georgia, USA. As shown below in the Scovill Infographic, research illustrates that partnering with a US-based manufacturer can be advantageous for a number of reasons, and our focus as an industry leading, US-based supplier partner is on increasing our customers’ ease of doing business no matter where they are located around the world. We at Scovill Fasteners believe in supporting our partners with potentially lower transit costs, quicker lead times and less supply chain complexity. In addition, Scovill embraces its partnerships with our US-based suppliers. In fact, approximately 95% of Scovill suppliers are based in the USA, and with 100% of our brass and steel raw materials domestically sourced and approximately 90% of Scovill products manufactured at our global headquarters made with brass components, we at Scovill Fasteners fully understand the benefits of a US-based supply chain. Read more about the supply chain benefits of partnering with a US-based manufacturer below.